Why doesn’t my laptop find 5GHz network on Windows 10? Sometimes, PC can’t find 5G WIFI network but can find 2.4G wireless, 5GHz disappeared. What is 5G WIFI? Use WIFI 5GHz or 2.4GHz? 2.4 or 5GHz WIFI? In fact, the major difference lies in the Windows 10 5GHz WIFI and 2.4GHz have different band and width. To put it in simple words, WIFI 5GHz Windows 10 with right 5GHz wireless adapter runs faster with shorter distance, whereas 2.4 networks can cover furtherer distance but with slower speed. So if you have known that 5GHz is faster than 2.4GHz, many of you would like to use the 5GHz network on Windows 10. While only when you enable 5GHz WIFI on laptop can there be no more Windows 10 not seeing 5GHz. Usually, nowadays, Windows systems are using dual-band wireless routers to support 2.4GHz and 5GHz wireless network. But sometimes 5GHz WIFI not showing comes to you and Windows 10 cannot see 5GHz wireless network after Windows 10 upgrade or after Windows 10 Creators Update for unknown reasons. In this way, you can walk through the way to solve the 5G WIFI not detected on laptop. The most potential cause why you cannot find 802.11n 5GHz WIFI lies in 5GHz wireless adapter on Windows 10. So to fix Windows 10 won’t recognize 5GHz WIFI networks by removing 5GHz wireless adapter issue, you would better get started now. But before you enable 5GHz in Windows 7 or 10, it is a necessity for you to check if WIFI on your computer is 2.4GHz or 5GHz on Windows 10. Here the most frequently asked question is “does 802.11n support 5GHz?”. Thus try to check the network mode at first. Normally, different protocols support different kind of network, such as 5GHz WIFI Windows 10 and 2.4GHz WIFI. They are 802.11b 5GHz and 802.11g 2.4GHz, 802.11a 5GHz and 802.11c 5GHz, and 802.11a, 802.11g, 802.11m both 2.4 and 5GHz. 1.Press Windows + R to activate the Run box. 2.In the box, type in cmd and then click OK to navigate to Command Prompt. You would better log in to Windows 10 with administrative privileges. 3.In Command Prompt, input netsh wlan show drivers and hit Enter to run this command. 4.In the result from Command Prompt, locate Radio types supported to see your network mode. Here you can see exactly what your network mode is, whether or not it supports 5GHz WIFI Windows 10. If it is, the next thing to do is to solve the 5GHz WIFI not showing up by updating the wireless adapter for Windows 10 5G. As for the people who wish to change from 2.4GHz to 5GHz, you should at least know that 802.11a, 802.11g, 802.11n can support both 2G and 5GHz, while you can only use 802.11a, 802.11c on 5G WIFI with correct 5GHz WIFI driver. Now try your best to get the wireless network driver for 5GHz WIFI on Windows 10. As it is suggested above, you can see in a large sense, Windows 10 cannot find 5GHz WIFI comes up due to outdated or corrupted 5GHz WIFI driver. Or to upgrade from using 2G to 5g, it is also necessary to update the 5G wireless adapters. Therefore, the first and foremost thing you are supposed to do is downloading the latest 5G network driver for Windows 10. And then Windows 10 5G WIFI can appear and work well, such as Qualcomm Atheros driver 5GHz. Of course, you are able to update 5GHz WIFI driver in device manager or official site, but the most foolproof way is to use Driver Booster. To let Driver Booster, the professional and secure tool help you solve Windows 10 not connecting to WIFI, let alone 5GHz WIFI. 2. 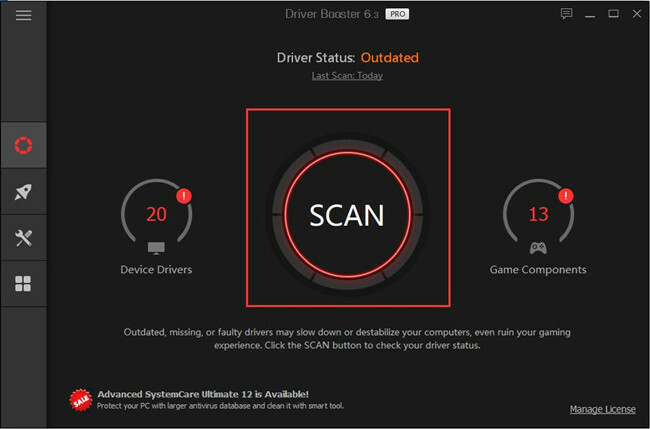 Hit Scan to allow Driver Booster to scan your PC and download the newest 5GHz driver Windows 10, such as 5GHz wireless adapter for laptop, like HP. 3. 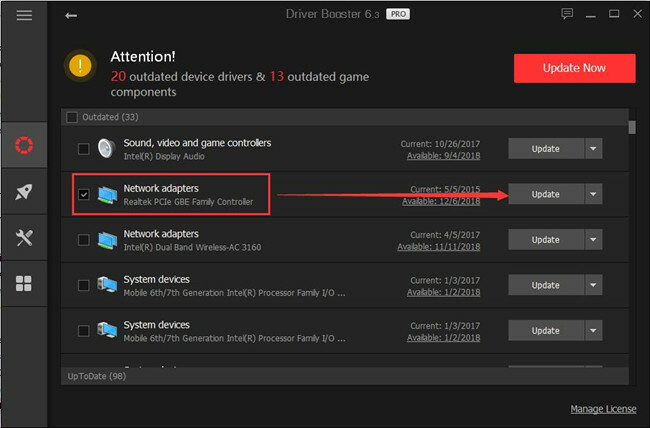 Update the 5G network driver, for instance, to help you deal with 5GHz WIFI not showing in Windows 10, Driver Booster will download Broadcom 802.11n network adapter 5GHz or 802.11b preamble 5GHz. Once you have successfully coped with the 5GHz wireless adapter error on Windows 10, 5GHz not showing can also be fixed. It is natural that if you can’t connect to 5GHz WIFI Windows 10, 5G is not showing up on your laptop. If you have even not connected 5G WIFI to Windows 10, how can 5GHz network show up? 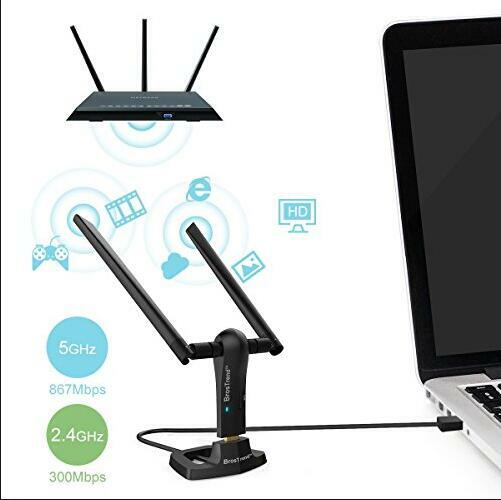 After you have known Windows 10 5GHz 802.11n network mode and have got the compatible 5GHz wireless adapter, you are qualified to get 5G WIFI for Windows 10. 2. Go to Network adapters, and expand it to right click the wireless adapter to open its Properties. 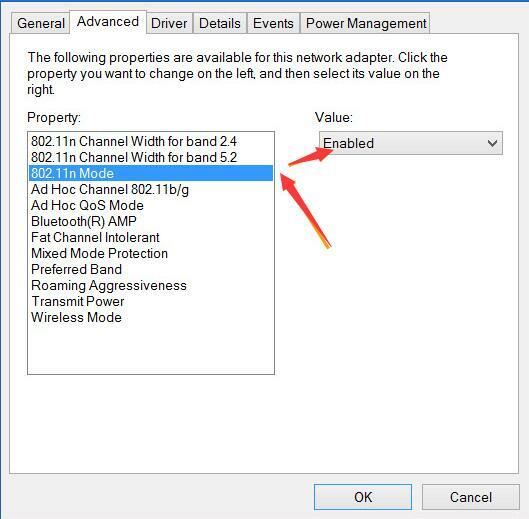 3.Under the Advanced tab, scroll down to find out 802.11n and choose to set it as Enabled. 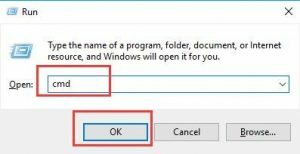 Then click OK to save changes and restart your computer. At present, you will have fixed 5GHz WIFI not showing in Windows 10 if you can enable the 802.11 modes for 5G WIFI. Now you will have got if WIFI is 2.4 or 5GHz on Windows 10 and also know how to connect 5GHz wireless network to Windows 10 so as to solve WIFI 5GHz not showing up leading to the computer cannot see the 5G network.